If you enable ACH payment methods for your customers, they will have to verify two micro deposits before their payments will process. 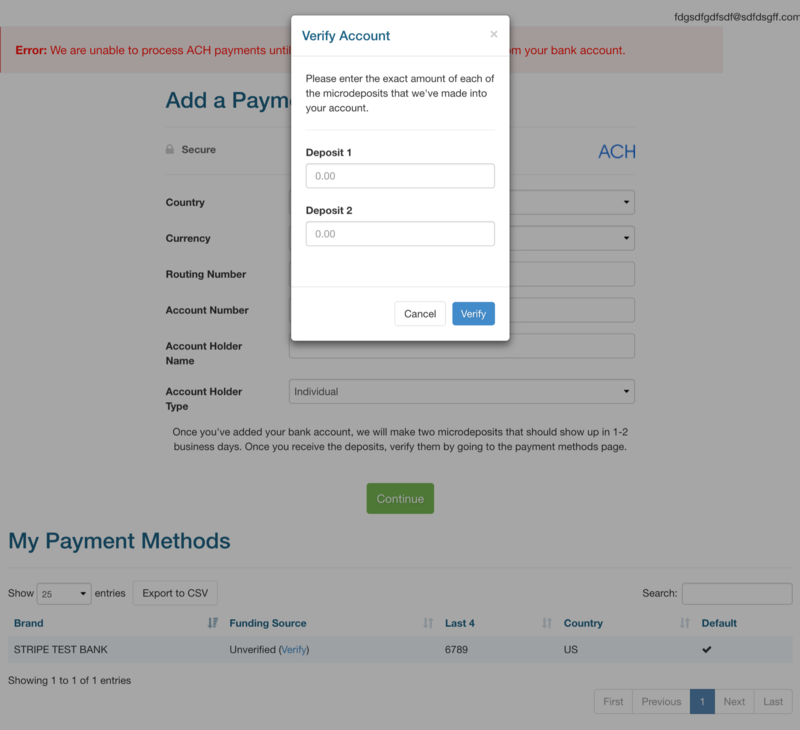 ACH customers stored in the Stripe gateway will have to verify their bank accounts by confirming the exact amount of two small deposits (aka micro deposits) in their bank account. For security reasons, customer verification is required before ACH payment methods can be used to make any live transactions. NOTE: Micro deposits should post to customer accounts within two business days, however they will often be visible immediately after checkout as a pending transaction in the customer's bank account. 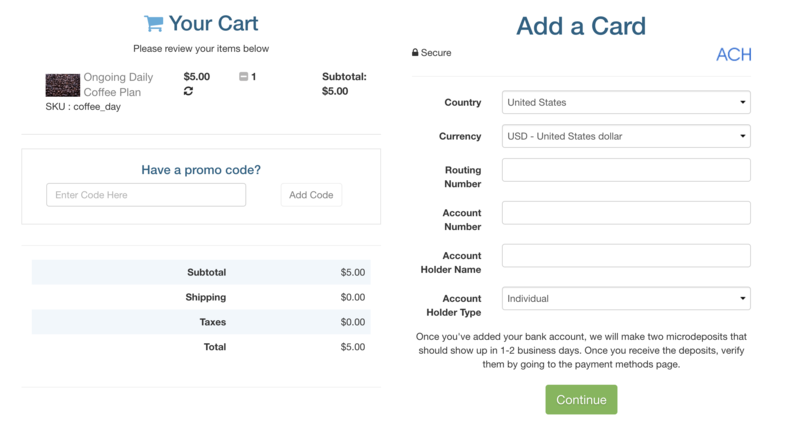 STEP 1 - Checkout with a new ACH payment method or log in to the customer portal after using an ACH payment method to make a purchase. STEP 2 - After completing checkout, customers will see an error warning them to complete the verification process in the customer portal. 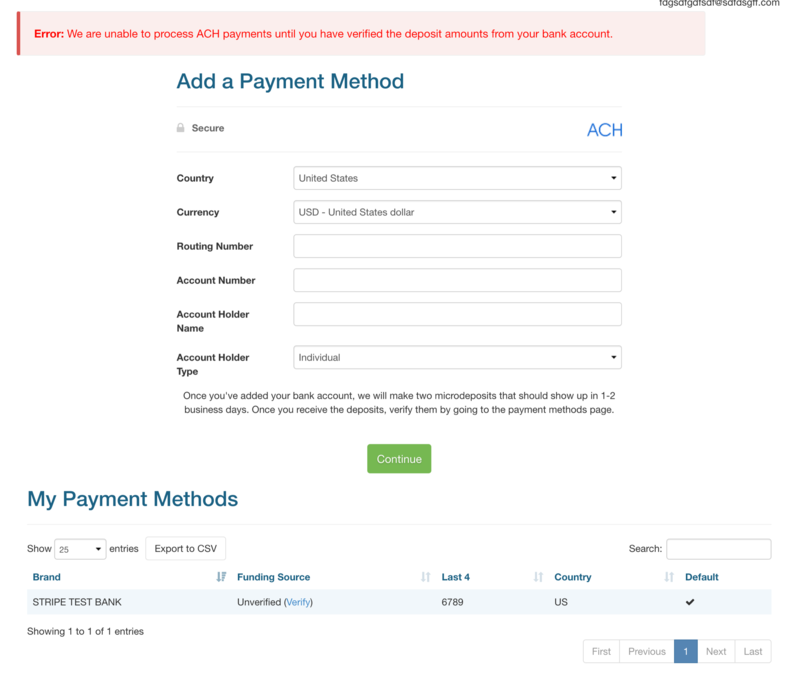 STEP 3 - Click the "Verify" link next to the ACH account in the "My Payment Methods" table in the portal. That's it! After the two micro deposits have been verified, the system will begin processing invoice normally. The system should also retry the invoice automatically, based on the dunning settings in the account.